The 1MDB case has gained international notoriety. 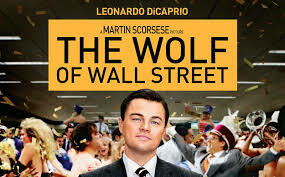 it is now lined up with the great crimes and criminals against humanity on par with Apartheid, the Myanmar Junta, Pinochet the dictator, and sufficiently notorious to attract the attention of Oscar-nominated film maker Mike Lerner who has now begun producing a documentary "The Master and his Wolf" a documentary which he hopes will join the dots between 'Wolf of Wall Street' producers Red Granite Pictures and a billion dollar scandal now threatening to bring down the government of Malaysia. If I were Arul Kanda I'll get out of the country, Arul Kanda will breakup at the rigorous interrogations of international interrogators - seasoned professionals with years of experience in all the tricks involving fraud and money laundering. He must get out of the country to be free to make statements the kind that will get him concretely silenced in Malaysia or for which his integrity can be blown up to smithereens. 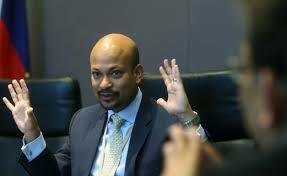 Arul has served his purpose to the people who appointed him, and judging from the results so far I do not think they are too happy or overjoyed by the outcomes so far produced, and as the case heats up internationally Arul is more a liability to those who appointed him rather than an asset. Arul will be the centre of investigation, by international authorities and judging from what we already know Arul will want to safeguard his personal integrity and would not want to be the sacrificial lamb and neither will Shahrol Azral Ibahim Halmi. Attempts to point the finger at Shahrol Azral Ibrahim Halmi is not even an attempt to pull wool over the eyes of the Malaysians who ae too used to it but rather to pull wool over the eyes of the international investigators from the US, Singapore, Luxembourg and Switzerland and let's just wait and see who will fall for it. I noticed something when the entire team in 1MDB tendered their resignations calling for an investigation of the ex CEO of 1MDB, that was indeed a very strange proposal. We all know that Shahrol Azral has openly given his reasons for leaving 1MDB and putting him under investigations will only open "Pandora's Box" for Najib and the rest in the 1MDB scandal. Arul Kanda being the most recent CEO who supposedly has solved all 1MDB's problems will be the target of global investigators of the case. There can be no hiding as some of the countries especially Switzerland who can use, "Universal jurisdiction," which allows states or international organizations to claim criminal jurisdiction over an accused person regardless of where the alleged crime was committed, and regardless of the accused's nationality, country of residence, or any other relation with the prosecuting entity. Crimes prosecuted under universal jurisdiction are considered crimes against all, too serious to tolerate jurisdictional arbitrage. Money laundering is an international crime, the recent issue of the Panama Papers only shows that the perpetrators of such crime are almost exclusively the rich and famous, and Switzerland being noted for slush foreign funds of the rich and famous may want to show the whole world that it is serious about running legitimate operations and have absolutely no tolerance for such crimes. 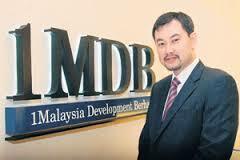 Arul and the ex CEO of 1MDB could be key personalities in the final phases of the investigation of these cases to provide the final link. There is a lot that Arul and the ex-CEO will give out at the interrogations that could put the final nail in the coffin of those Zombies still fighting hard and denying everything only to be proven wrong at the next turn. The end is nigh and desperate people do desperate things, Kevin Morais' brother had asked for a second post-mortem and in strange ways that was denied him and the body cremated without him even being informed that they were planning to do so. Today the courts are conveniently hearing the case of death as described in the first post-mortem, we will never really know how he died will we? In desperation people will do anything as long as it serves their interests and keep them in the clear. Interesting times yet dangerous times, very dangerous. 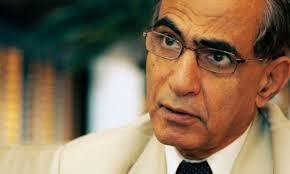 Mohamed Badawy Al-Husseiny Was The Signatory Of Bogus Aabar Company - EXCLUSIVE! IS THE AG DELIBERATELY MISLEADING THE PEOPLE? MALAY PRIVILEGES OR ETHNIC CLEANSING?